Denim has always been a way of expression for people, rather than a fashion item. From the day that it was invented, back in year 1873, during its journey through gold rush, world war and waves of women’s rights activism, through almost all music trends, and many iconic movies, denim has always been on the stage. But is there a greener future out there for that blue world? Denim’s place in the fashion history and popular culture has always been meaningful, going beyond the obvious. Wearing a pair of jeans is more than just an act, it’s more like making a statement to be free. 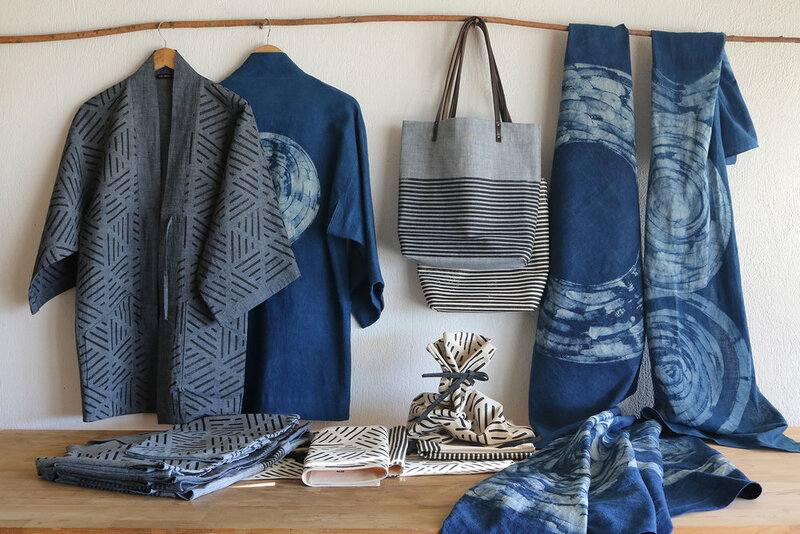 Also, due to its ingredients, indigo and cotton, denim is a living and ageing fabric, carrying all stories and memories within. Because it lives with you through time, after many years, you may feel your vintage jeans have become irreplaceable, like your best friend. All these facts make denim a unique statement that stands independently from seasonal trends. It is an essential item in the wardrobes, from office workers to celebrities. One may complete the most sophisticated look just with a white T-shirt and a statement pair of jeans. I have been working for this blue world for over 15 years, with the same passion. The surprising world of indigo has always amazed me. My professional career started in a global denim company, where I worked for 15 years. I was lucky enough to meet good friends in the world of denim, work with a great team and see the times when the design and quality oriented mindset was dominating the jeans market. After the big retailers and the ‘fast fashion’ term started to appear and take its share, like the rest of the fashion industry, the making of jeans has also gone through a transformation. Sales, profit and margins have started to be more important than the product itself, as there has been a new kind of pressure to produce and produce more. Some brands could not even adapt to this new world, so they often disappear. Also, acknowledging the reality-check facts (according to Greenpeace report) about jeans, this global industry sells approximately 8 billion pairs around the world annually. Following that ‘business as usual’ approach, consumption of clothing is projected to rise by 63% in 2030. We also know that 5% of all waste landfills are created by the fashion industry. It is alarming how the overconsumption and overproduction in fashion industry are affecting our planet. "Acknowledging the reality-check facts about jeans, this global industry sells approximately 8 billion pairs around the world annually." Working in a big organisation and in competitive corporate business models, the system may drive you to sell more and pressurise people to consume more. However, I have started to question all these models. In such a big system, the makers are not free to follow what they personally value and believe. I felt that the environment had started to limit my potential. Shortly after, I had taken the decision to leave the company and corporate environment. At that point, I did not know what I’d do exactly when I was free, but I knew that I no longer wanted to serve this overblown fashion industry. And addressing overconsumption and its great threat to the environment quickly became a few of the key triggers that encouraged me to make that shift and leave. I started to think and list the things that I liked about the denim world. There was a rising need for the real value of the product and awareness of responsible fashion. Everybody was talking about sustainability, just like a new trend, but only a few had valuable content to help bring to life within the realm. The market was in desperate need of realness and sincerity. So, I decided to do my part. This is how BluProjects, my baby company, was born. The idea behind BluProjects is to develop projects for brands and companies with same dedication towards a better world, and to design new models for mindful sourcing. I feel myself satisfied to have chosen this small side of fashion industry, unlike majority. And to lead my efforts towards selling better, instead of selling more, and triggering more acts of consumption. I am currently consulting two companies on sustainable technologies and projects. To produce more durable jeans in more environmentally friendly ways is possible thanks to the new technologies, and I am helping these producers to spread the value of sustainable production. 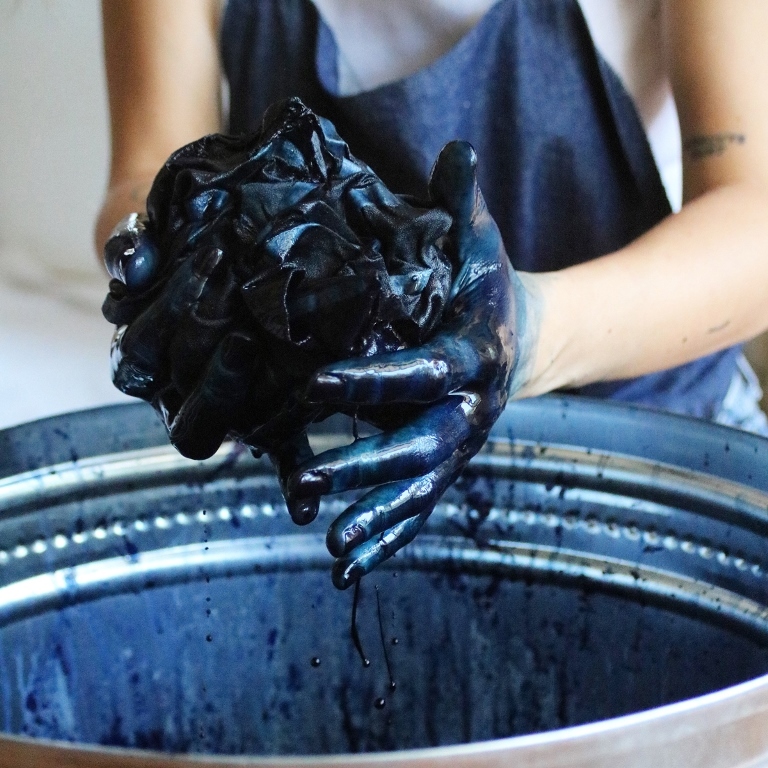 Indigo is one of the most polluting chemicals found in the textiles industry, due to its processing methods. You may remember the documentary ‘Blue River’. Unfortunately that blue river is not only a name, but it really does exist, due to the denim mills in that area. The processing of denim just needs some minor amendments, like replacing the chemicals used with greener chemicals, with which a cleaner dying production is possible. Also, another tricky part in denim production is that you need to apply industrial wash to the jeans, it is an important part of the process. It takes approximately 4,000 litres of water to make only one pair of jeans. Yes, you heard that. Over 70% of water and chemical wastage could be omitted just with alternative machinery systems, which are specially designed for sustainable results. With the company that I am consulting for, we even managed to make zero chemical wash – with water savings of over 80%, which is a pretty incredible achievement. I try to touch all these steps within the denim production and to introduce these sustainable innovations to the global brands. Another inevitable fact is that there are so many leftover fabrics and garments in the jeans wear production, and knowing this, I started to generate ideas on how to help those leftovers live their next life. So, currently I am also developing upcycling projects with their leftover garments. BluProjects is thinking in a circular way and trying to touch different parts of the industry, as everything is interconnected. "Everybody was talking about sustainability, just like a new trend, but only a few had valuable content to help bring to life within the realm. The market was in desperate need of realness and sincerity." For example, one project that I am proud to support as a volunteer is a local slow fashion brand OneSquareMeter. They are creating their all handmade products and telling an amazing story. I am helping them to connect with the right network and tell those stories to wider audiences. I am also a lecturer at Istanbul Fashion Academy, where I have designed a new course about sustainable denim that aims to raise awareness among younger generations, and to help them focus on value added products. Seeing the positive reaction to what I am doing and also the new generation's approach, I do believe that the future of fashion industry will be better than today. I love what I do and I now feel myself content to have followed my instinct and changed my professional career to my own platform, where I can express myself freely, and work for a better denim industry with other like-minded professionals and creatives. To conclude, I believe that even small steps may lead to big differences. Finishing my words with a wise quote by Leo Tolstoy, as a reminder, “Everyone thinks of changing the world, but no one thinks of changing himself”.